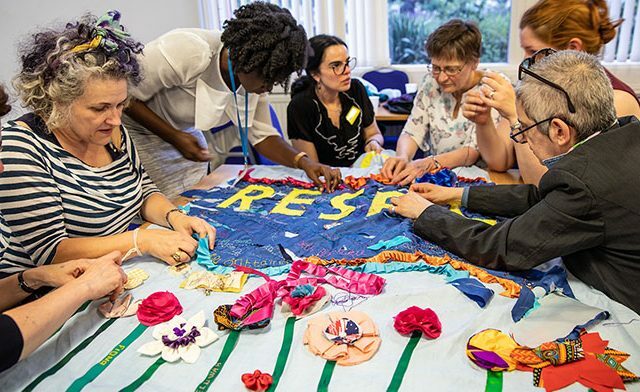 We’ve been really busy over the last couple of months but we took some time out to visit one of The Glasgow Women’s Library (GWL) banner making workshops. 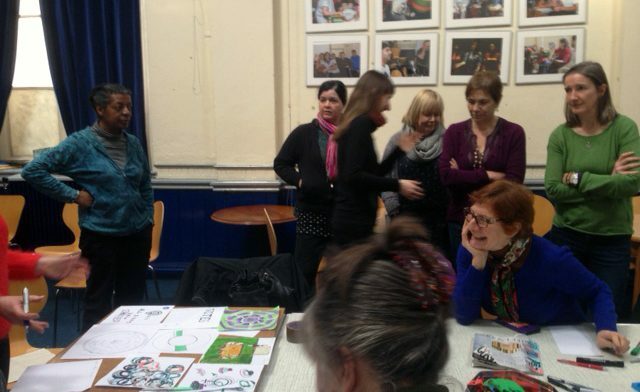 The workshop, which was held on a Saturday (perfect excuse not to study) was a fun and welcoming event in collaboration with The Scottish Refugee Council. Going into the event, myself, Rachael and my gran (aged 85), didn’t really know what to expect. Clock with Rachael the hand-model. To prepare us for banner designing, we were then introduced to some of the items in the Library’s collection including an anti-suffrage clock and some postcards with choice slogans. Then, as a group we held a brain storming session. By answering simple questions such as ‘Can you vote?’, or ‘Are you registered to vote?’ we began to understand more about the individuals in the group. Through this basic exercise, Rachael and myself realised just how lucky we are but also just how much work still needs to be done to ensure that everyone has the right to vote. Barriers to women post-it board. Just by discussing some of the issues still faced by women today (see above) and a stack of post-it-notes, we started to develop slogans for our hypothetical banners. It was truly inspiring to see women from various generations and backgrounds, all sitting discussing the same issues which still affect/impact on our daily lives. Who doesn’t love a mood board? Over the two hours, we covered the historical, decorative and political components which can contribute to a smashing banner. If you, like us, wish to make your own banner or contribute to GWL’s please see workshop dates below. Banner in the GWL Collection from the c.1980’s. Dates for the GWL Workshops: Fortnightly until Saturday 14th April, then Saturday 21st April, and Saturday 5th May, 1pm to 3pm, Women only. Get creative, make a banner and come and march with us on the 10th June in Edinburgh as part of the Processions Project. 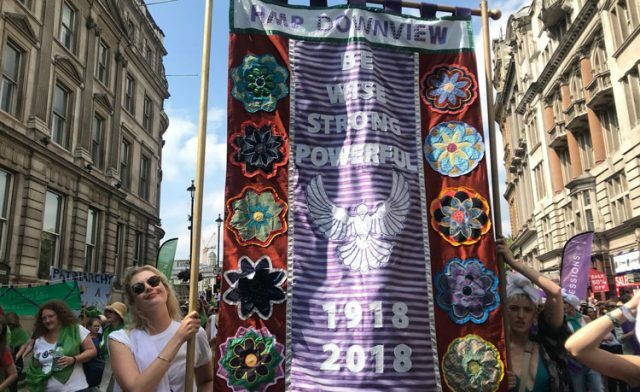 Follow Processions on Twitter @processions2018 and GWL @womenslibrary to keep up to date with events and general chat.